Simple Real Mom: 5 things you need to know about Argan oil ? What is Argan oil ? Moroccan Argan oil is an oil produced from the kernels of the rare argan tree which grows in the south western part of morocco. The Argan tree grows wild and is listed as an endangered species under the protection of UNESCO. There are two types of Argan oil , the edible food grade and the cosmetic grade.both very rich in vitamins and fats , as It has twice as much vitamin E as olive oil and is rich in anti-oxidants ,and contains eight essential fatty acids including Omega 6. What are the benefits of Argan oil ? It regenerates the skin by restarting vital functions of cells . Stop premature aging and fight wrinkles . Hydrates and absorbs into the skin without leaving a greasy residue . Helps heal irritant and inflammatory lesions such as acne, eczema, and psoriasis due to its soothing and antimicrobial properties. Helps balance the skin’s pH and regulate (over) production of sebum (oil) . It improves the elasticity of the skin which helps preventing and reducing the appearance of stretch marks . Moisturizes, softens, and protects the hair without leaving greasy build-up, as well as helps it grow. Strengthen the nails and softens the cuticles . What are the differences between the culinary and the cosmetic Argan oil ? To produce the culinary Argan oil , the seeds have to be roasted to give a rich aroma and a delicious nutty smell , where the cosmetic Argan oil is made from seeds in their natural state . The Culinary Argan oil has a pretty strong nutty smell ( like peanut butter) , the cosmetic grade also has a smell of nuts but very light and doesn't linger on for a long time . 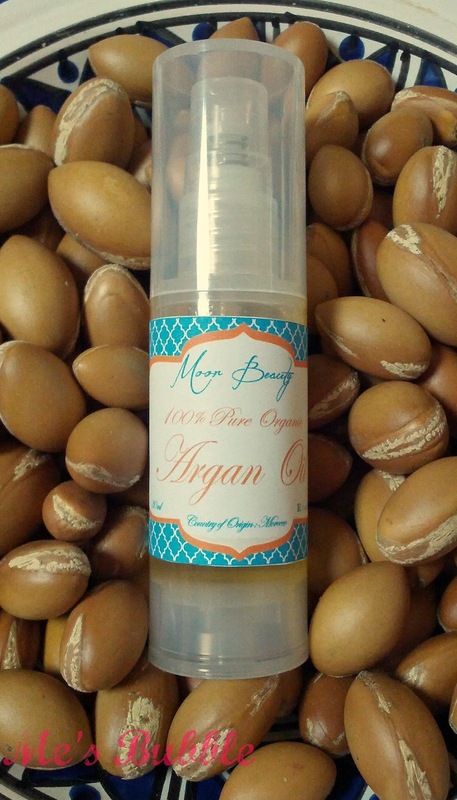 if your Argan oil has no smell then it has obviously been chemically deodorized . The cosmetic Argan oil is bright golden yellow and silky smooth , and the culinary one has a lighter texture and is more orange-ish than yellow ( Moroccan women like to add a tiny bit of paprika to it ) . Why is the cosmetic Argan oil more expensive than the culinary one ? 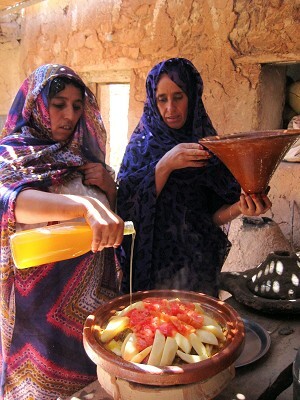 The extraction of Argan oil is a labor-intensive task perfected by the Berber women with a millstone. (it takes a few days to produce one liter). 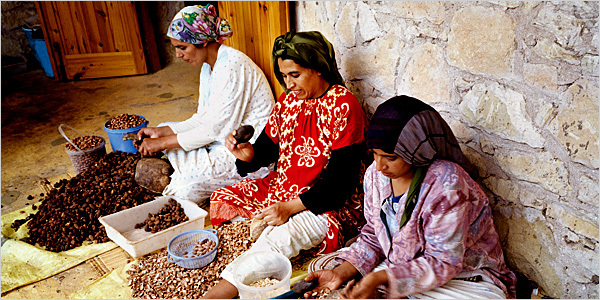 Roasting the Argan seeds before pressing them not only makes the extraction of the oil easier but also help produce more of it . While cold pressing the seeds is harder and very time consuming , which make the cosmetic Argan oil more expansive than the culinary one . How should i preserve my Argan oil ? Argan oil is very sensitive to heat and light , it's best to be kept in a dark place in room temperature . So now you know what you need to know before buying your bottle of Argan oil, if you'd like to know more leave me a comment I'll all answer your questions with great pleasure . 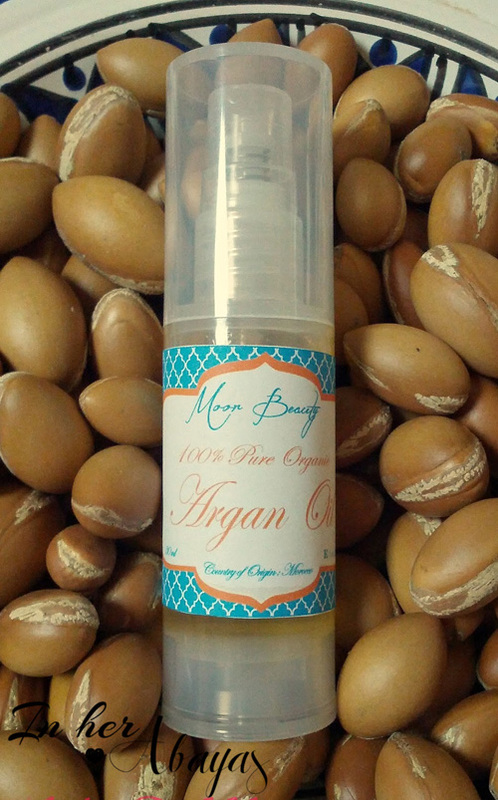 Argan essential oil is just about the most special along with rarest natural skin oils to provide as a result of styles of the unique area it truly is produced along with gathered. Can i use this oil for Dandruff? Hi ! thank you for your visit .